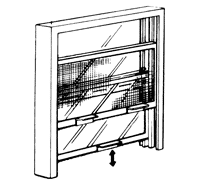 Series “C” Windows (without screens) Vertical sliding serving windows without a screen for installation between mullions. 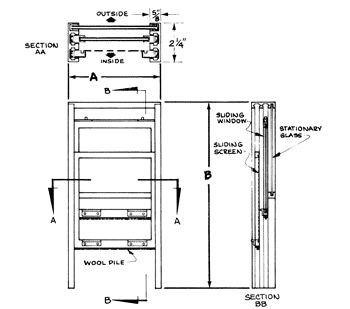 Nylon runners over coiled compression springs provide smooth operation. 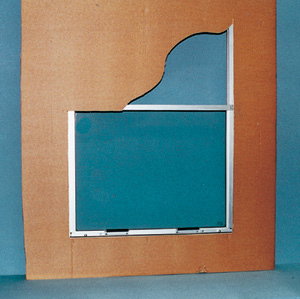 Window holds in placed position. 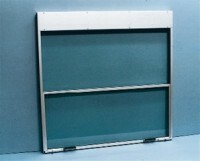 Vertical sliding serving windows with a sliding screen for installation between mullions. 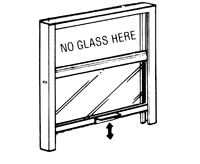 behind a wall, stationary glass or into a pocket. 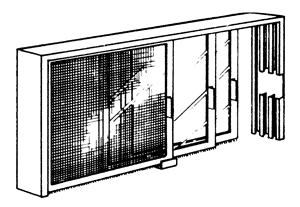 mullions, behind a wall, stationary glass or into a pocket. 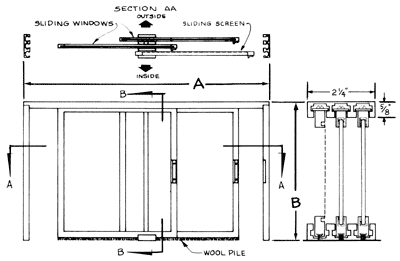 Note: Windows 36″ x 36″ and greater require sash counter balances. 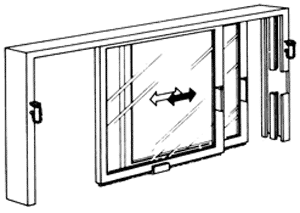 Horizontal sliding by-passing serving window for installation between mullions. 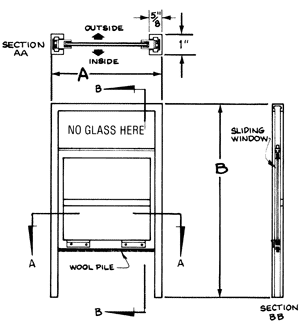 Please specify “BP” for windows without screens or “BPs” for windows with screens. Key Lock is available at extra cost. 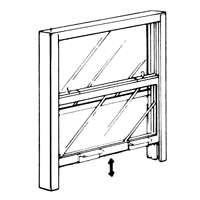 Note: Series “BP” Serving Windows are available for 1/2″ thick glass. 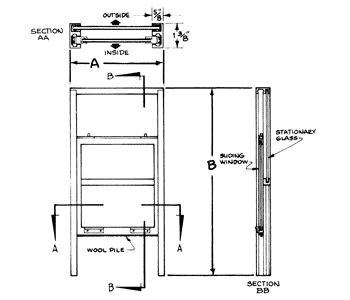 Extra long frame for pocket installation is available on special order. 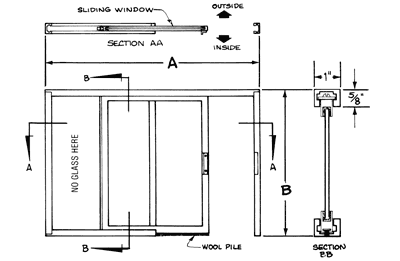 For larger sizes, bottom track with bearings is recommended.